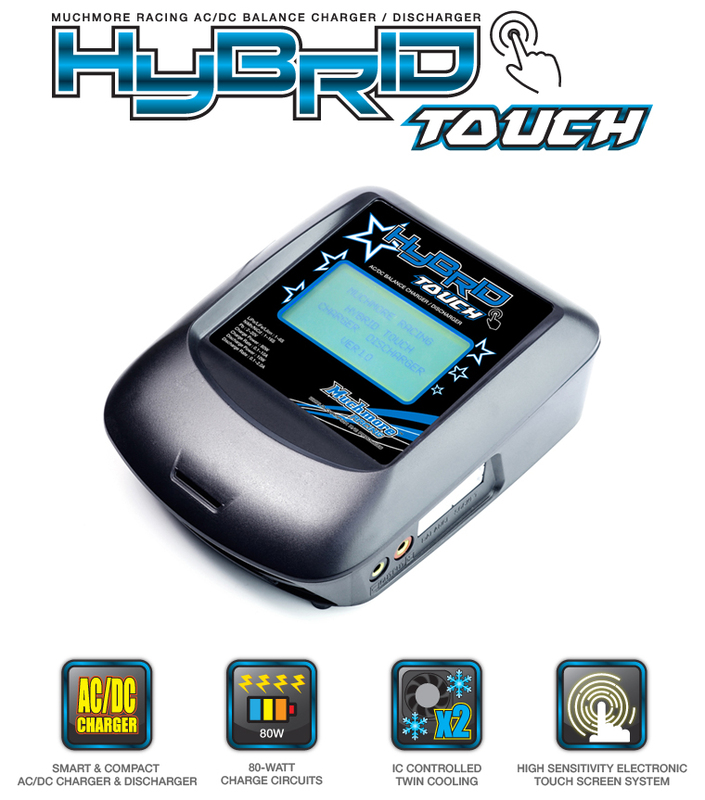 MM-HBTK Hybrid Touch AC/DC Balance Charger&Discharger-Muchmore Racing. 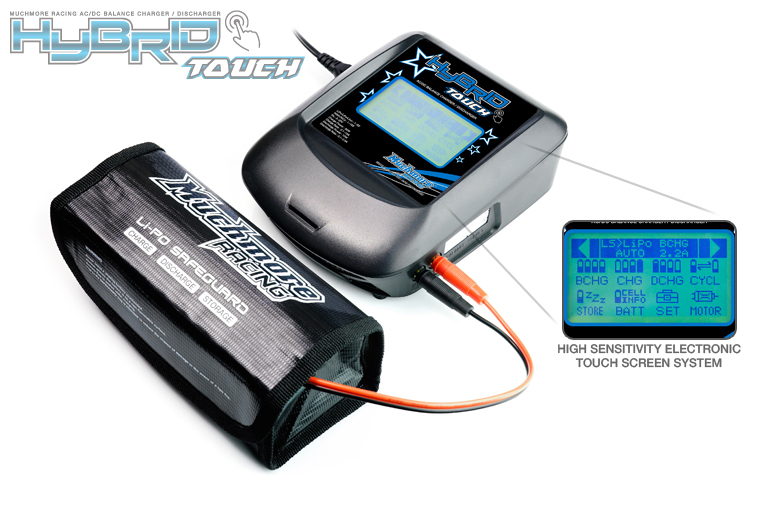 Co., Ltd.
Muchmore Racing's HYBRID TOUCH Charger is compact size, super Light Weight design and equipped with smart features. 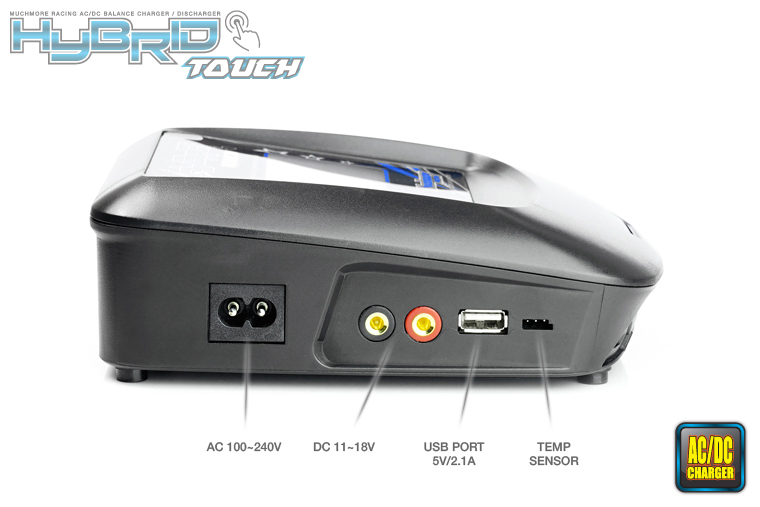 Efficient battery management function helps manage the battery in the best condition even during the race, as well as general driving.10 setup value memorize function. 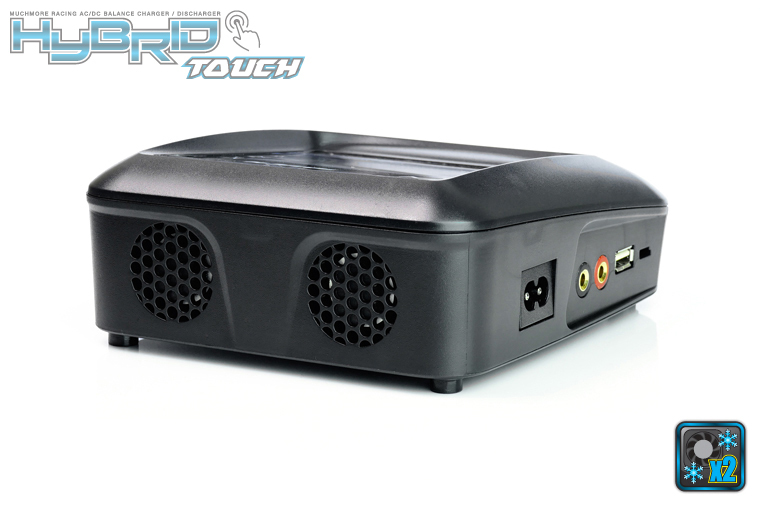 New designed touch screen with white color back light. It can be accessed instantly each menus with intuitive function. Compact hybrid touch charger equipped smart features. Efficient battery management function helps manage the battery in the best condition even during the race, as well as general driving. IC controlled twin cooling fans protect from high temperature of device. 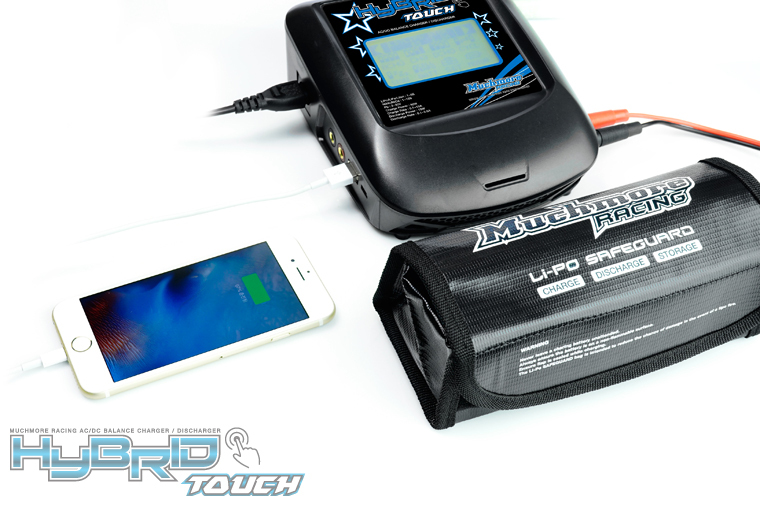 HYBRID TOUCH Charger built Li-Fe or LiPo 2 ~ 6S cell XH2.5 balancing ports all in one, no need a separate balancing board. 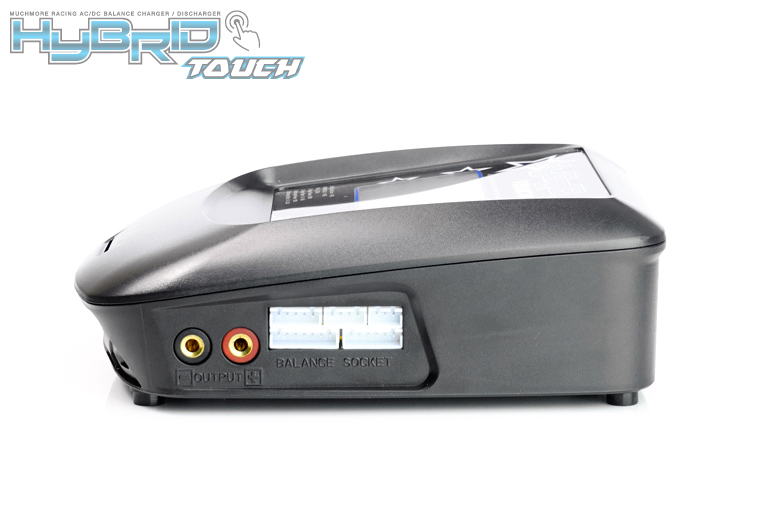 Hybrid Touch charger attached built-in DC power supply. You can use input AC100~240V or DC 12~15V. If you use input AC100~240V, it can be use connect DC input port other RC equipment Max 4A add. If you use optional part - temperature sensor, you can check the battery temperature. USB port and 5V / 2.1A output, you can charge your smartphone and other devices.